A professional venue plays a vital role in commercial activity. 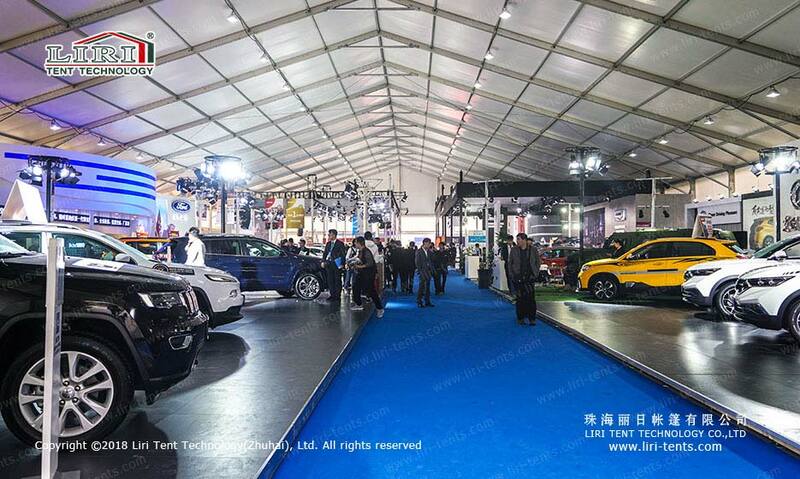 As a famous large-scale tents manufacturer in the world, LIRI TENT has more than 20 years experience in the tent industry, we can provide 10m to 80m width big marquee for sale according to different events. 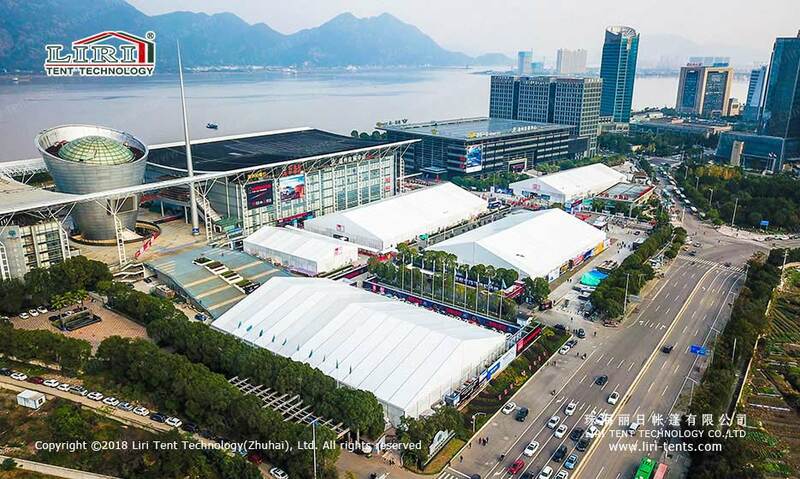 Recently, LIRI TENT set up a variety of big tents in some plaza, the most catch the eyes are the two sets 50m X 115m big marquee for sale, there are without any aluminum pole in the inner space of 5,750 square meters, meets the demand for space of the activist. Against large span big marquee for sale, LIRI TENT will make an effective solution to the customer, proceeding security optimization to tents structurally. In material quality, adopting high quality sturdy and durable 6082-T6 or 6061-T6 two sizes aviation aluminum alloy outside to make the tents are able to resist 8-10 level high wind, which ensure the safety robustness of the use procedure in short period or long period. 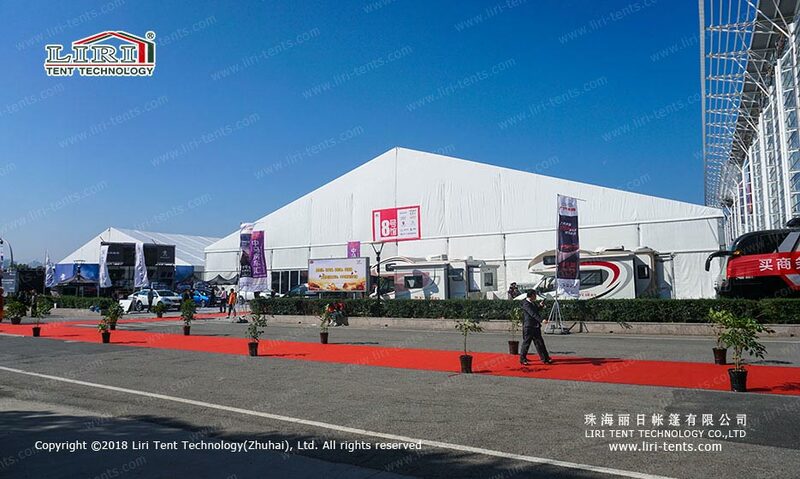 In addition, LIRI TENT can choose suitable accessories of the big marquee for sale according to demands of the client to enhance the appearance and interior of the tents, such as ABS solid walling, glass solid walling, lighting system, carpet, high-grade flooring, roof lining, special air conditioner and so on. Creating a more spacious and comfortable atmosphere. As a temporary structure, the advantages of the big marquee for sale are set up, dismantle and transport quickly. It is handiness and non-pollution, which is a “green structure”. It has become an ideal choice for temporary activities nowadays.